Parents of adopted children face some unique challenges in addition to all the "regular" issues that come with being a parent. Parenting Your Adopted Child provides helpful tools that enable families to understand and counter common myths about adoption that may be harmful to their children. It also clearly demonstrates how parents can effectively tailor their parenting approach to suit their child's distinct needs. Andrew Adesman, M.D. (Roslyn, NY) is chief of developmental and behavioral pediatrics at Schneider Children's Hospital and associate professor of pediatrics at the Albert Einstein College of Medicine. Dr. Adesman also serves as director of the Adoption Evaluation Center and the neonatal developmental follow-up program at Schneider Children's Hospital. 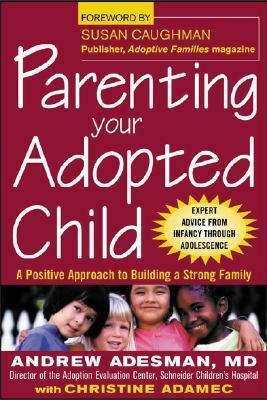 Christine Adamec (Palm Bay, FL) is the author or coauthor of 16 books, including five on adoption-related topics.